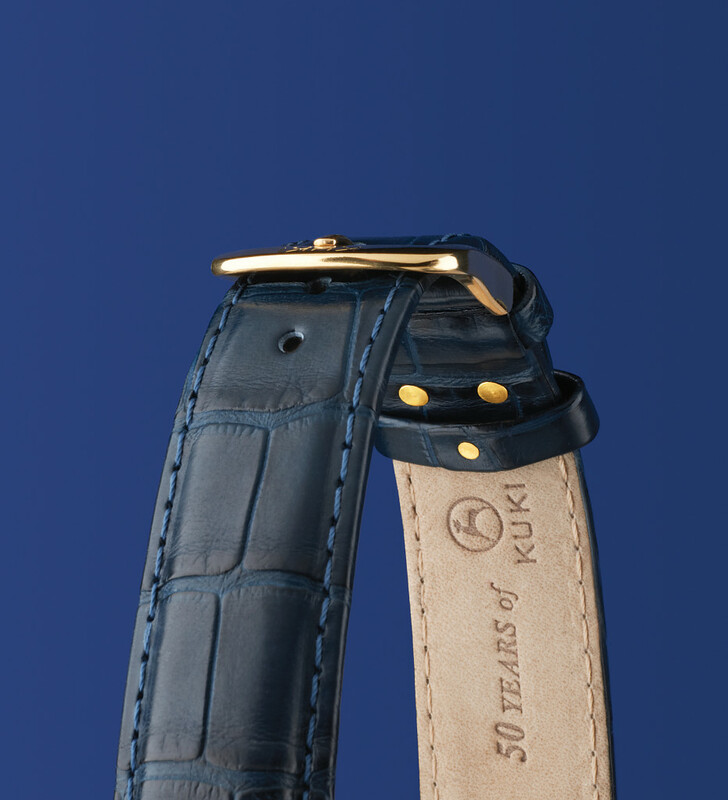 The KUKI company from Slovenia has been manufacturing high-quality leather watch straps since 1963. The family tradition was started by Franc Drolc and his wife Alenka. Sadly, Franc passed away in 2010, leaving the company in the hands of brothers Matjaž and Gregor. 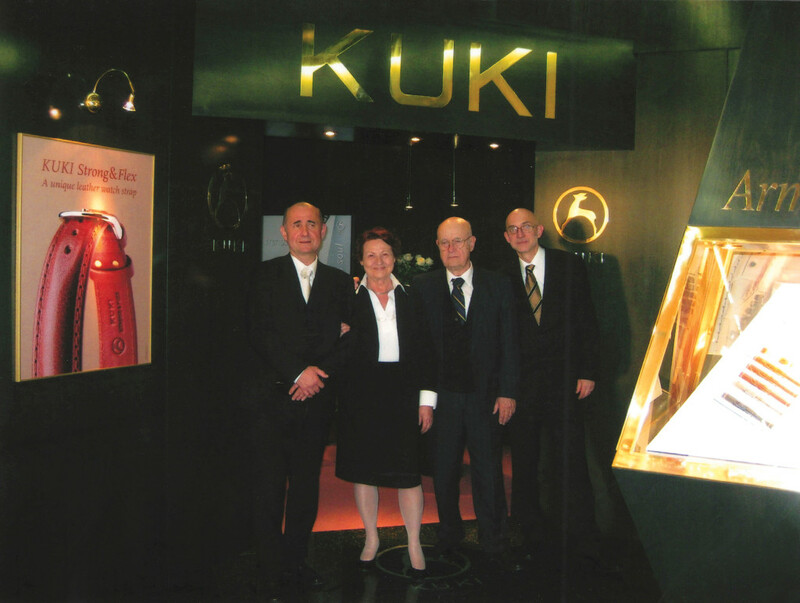 The family company KUKI began its international development in 1991 when KUKI appeared at Baselworld for the first time. The company now exports to more than 20 different countries within and outside Europe. The top quality of KUKI leather watch straps is the fruit of handwork supported by modern technology. The KUKI Company has obtained two of its own patents: ArmStrong (1994) and KUKI-FLEX (2003). ArmStrong and KUKI-FLEX have distinguished the KUKI Company as a producer of sophisticated leather watch straps. In 2009, KUKI launched a new innovation, i.e. the KUKI Strong&Flex offering flexibility, softness and durability all in one and providing excellent reliability and resistance to deformation. In celebration of its 50th anniversary, KUKI created special designed Luxury Jubilee KUKI Strong&Flex Alligator watch strap - A masterpiece in the world’s leather watch strap production. 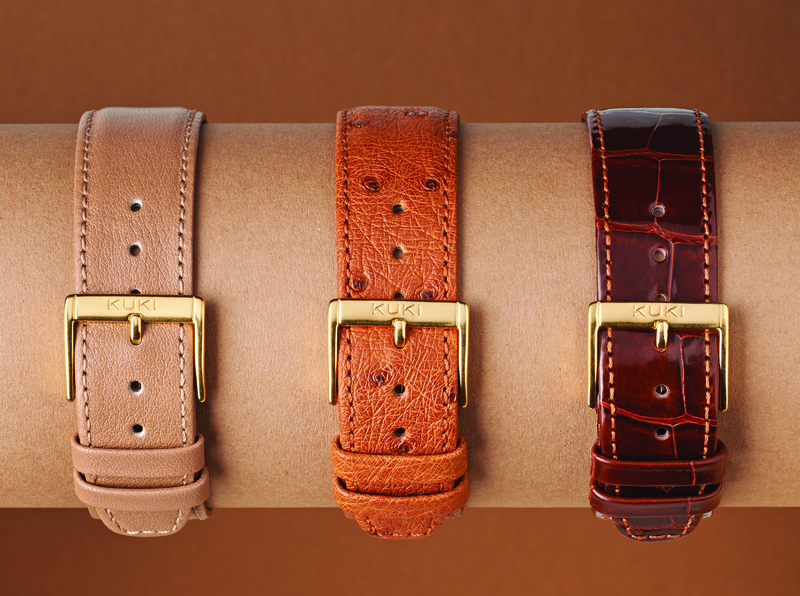 After developing many patents and innovations, KUKI is launching the KUKI-FLEX Horween Shell Cordovan watch straps as the fruit of innovativeness, tradition and craftsmanship. Using the KUKI-FLEX patent as one of the best patents among leather watch straps and Horween Genuine Shell Cordovan, which is vastly regarded as the finest leather in the world, KUKI-FLEX Horween Shell Cordovan watch straps are unique and sophisticated leather watch straps. © All rights reserved, KUKI d.o.o.